Independent National Electoral Commission (INEC) on Tuesday released the timetable and schedules of activities for the 2019 general elections. 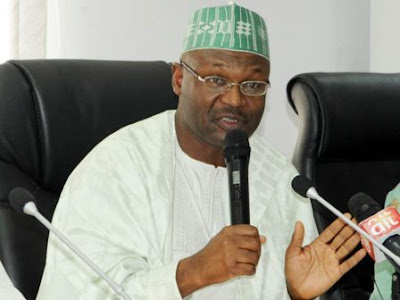 INEC Chairman, Prof. Mahmood Yakubu, said in Abuja that the dates for National Assembly and Presidential elections remain Feb. 16, 2019; while governorship and State House of Assembly elections, will hold on March 2, 2019. Yakubu said that the conduct of party primaries including resolution of disputes arising from primaries for national and state elections has been slated for between Aug. 18 and 2018 to Oct. 7, 2018. He added that the conduct of parties primaries for the FCT Area Council election has also be scheduled for between Sept. 4 and Oct. 27. Yakubu said that political campaigns by political parties for Presidential Election and NASS elections would commence on Nov. 18 and end on Jan. 14, 2019; while that of governorship and State Houses of Assembly would start on Dec. 1 and end on Feb. 28, 2019. He said that notice for elections would be released on Aug. 17, while collection of nomination forms for national and states elections by political parties has been fixed for between Aug 17 and Aug. 24, while that of the FCT is slated from Sept. 3 to Sept 10. The chairman said that the last date for submission of nomination forms by political parties has also been scheduled for Dec. 3 for president and NASS elections, and state elections Dec. 17. He also said that the collection of nomination forms for FCT Area Council elections would commence on Nov. 3 to Nov. 10, while the last date for the return of the nomination forms is Dec. 14.